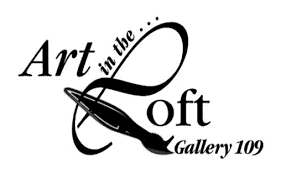 Art in the Loft at Gallery 109 is a fine arts gallery featuring the work of local, regional and nationally recognized artists. Reasonably priced artwork is available in a wide range of media. Artists staff the gallery and apply their techniques in demonstrations and workshops. Visitors are welcome to observe and participate and a variety of special events are featured. Art In The Loft is open for two primary exhibit seasons, Summerview Season, which runs from Memorial Day to Labor Day and Winterview Season, which runs from mid-November until the end of January. A month-long Young Artists exhibit is held during the months of April and May. Call ahead or see web site for firm dates. Art in the Loft at Gallery 109 is located in the Center Building, 109 North Second Ave.